Gantik™ provides the technology that has revolutionised the tissue and paper industry. Gantik™ has a patented process that applies glue directly to the product without the use of removable membranes such as silicone. The benefits of using Gantik™ technology include ease of use for the end user, environmentally friendly, easy to customise, ISO Medical & Food Grade and reduces production costs. Gantik™ adhesive has been developed in conjunction with Arkema/Bostik, one of the world’s most sophisticated producers of Adhesives. Gantik™ adhesive is exclusive to Gant Innovations and its licensees. Gantik™ adhesive is food and medical graded and comes with ISO certifications. It leaves no residue on clothes, skin or surfaces, and does not irritate the skin on interaction. Gantik™ adhesive comes in various strengths depending on the application and purpose. Our technology has eradicated the use of silicone tabs and strips as the adhesive activates when unfolded or opened, offering a more cost effective and eco friendly solution. Our production partners, 9 Septembar, have worked exclusively with Gantik™ to develop the machines that create all our products in our multi-market sectors. They are leading designers and engineers of bespoke systems and trusted by some of the world’s leading paper manufacturers. 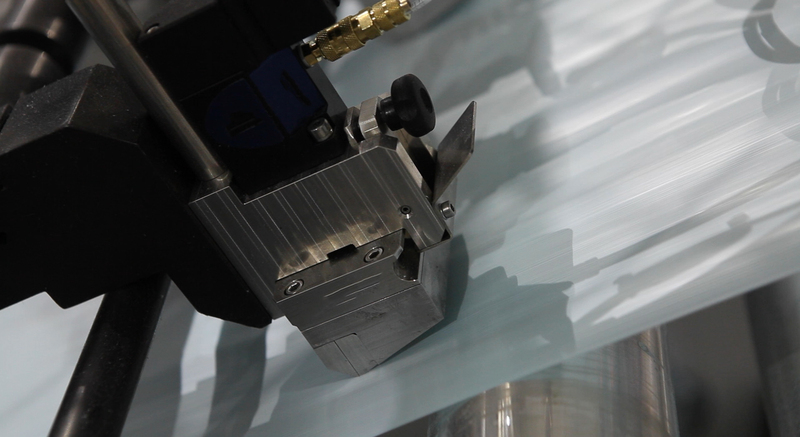 Our machines create a full end to end service from unwinders to Gantik™ application and smart packaging. These machines produce Gantik™ products at highly efficient speeds. Our video shows each part step by step to give you insight into the process from start to finish.